Eve is one of the most famous companies here in the UK, making rolled mattresses for years now. Their first and best mattress, in my opinion, was the Eve Original. You can find the full review here. But recently they decided to develop another one! 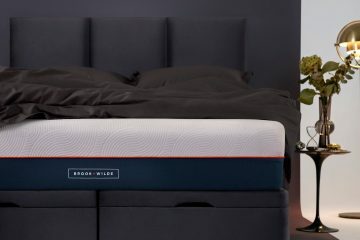 In my Eve Premium mattress review, I will talk about their attempt to enter the premium mattress segment and whether this was a successful one. 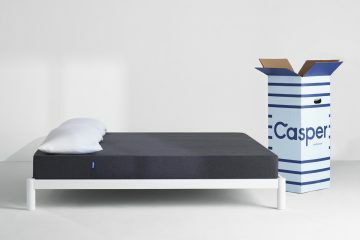 The concept remains the same here and this mattress comes packed in a box. They also stuck to their expertise so this is a memory foam mattress. 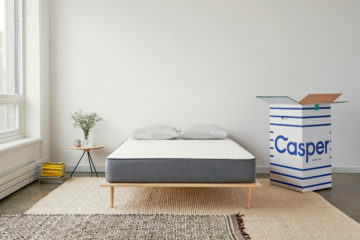 This is an interesting approach as most premium mattresses are hybrid. It’s a very thick mattress (28cm in height) which is great especially since they want to offer the extra luxury feel with this one. 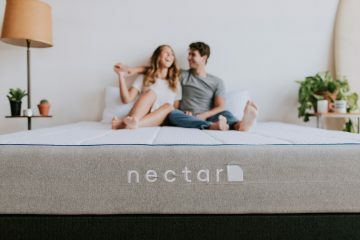 Just like any other rolled mattress, this will have a strange smell at the beginning but it will wear off after a couple of days. My mattress came almost 4 weeks ago so it’s a good time now to write this review. Top Layer: A floatfoam layer which is their latest development. It creates this ‘floating feeling’ and it provides your body with pressure relief. 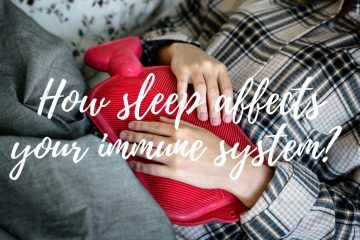 It’s also very breathable to keep the mattress cool during sleep. 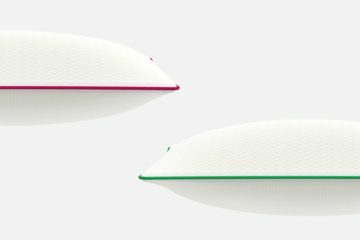 Middle Layer: A memory foam layer which helps your body get the needed pressure relief. It’s infused with graphite which removes heat from your body when needed. Middle Layer: A support foam layer which as its name suggests provides your body and spine with the needed support. It’s firmer than the 2 top layers. 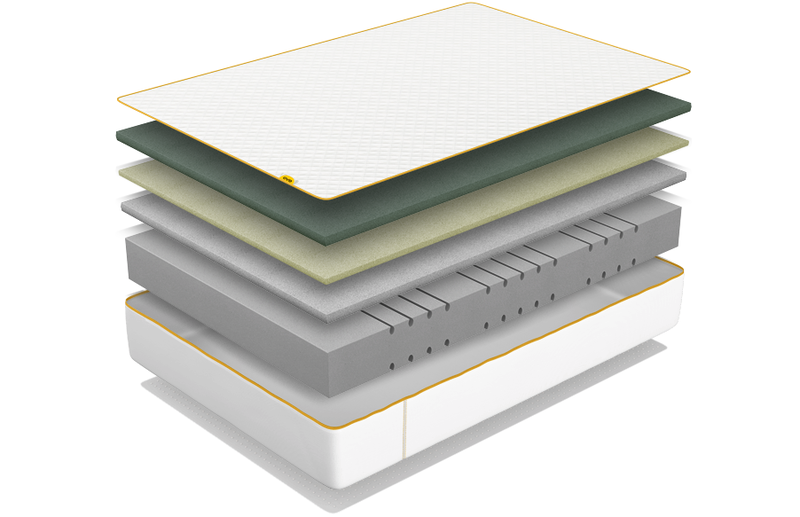 Bottom Layer: A base foam layer which is there to keep the mattress altogether. Eve designed tiny zone cuts to help with the hip and shoulder areas. In the picture below, you can have a better look of the Eve Premium layers. Eve Premium is made of a total of 4 layers. The cover of this mattress is a very interesting one. The top part is made of a luxuriously thick and quilted fabric. They have added a silver lining which makes it antibacterial and antimicrobial. This is very clever thinking by Eve and it’s something I have never seen before. The cover feels soft and it looks really premium. At the bottom of the cover, they placed handles which help a lot with the moving of the mattress. 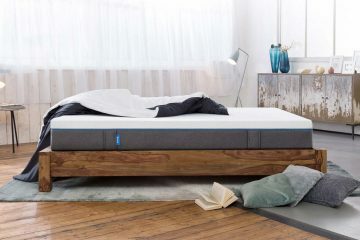 Moreover, anti-slip elements are placed at the bottom which help to keep the mattress in place. These two details make the difference and I love how much thought was put behind the design of the cover. The top panel is removable and you can machine wash it at 40°. This is great as it’s super easy to keep this clean. Overall, I genuinely loved this cover and I think Eve did an excellent job here. Eve sticked to their original recipe so this mattress has a medium-firm feel. It feels slightly softer than the Eve Original and if I use my virtual scale here I would say it’s a 6.5 with 10 being really firm. I would like now to talk about the different sleeping positions and how this mattress performed. Starting from the back position, the two top foam layers did a good job providing my body with loads of comfort. 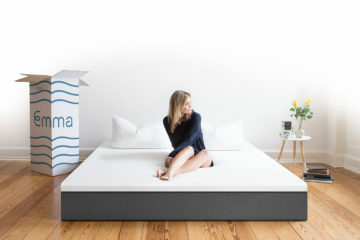 Eve claims this mattress offers a ‘floating feeling’ and I must admit it feels different. You won’t get the traditional ‘hugging’ feeling, instead, you will get something in the middle. It definitely feels very comfortable but some might not like it. I also felt that the pressure relief was adequate in this position and my spine was properly aligned. Moving to the side position, I felt that the mattress reacted quickly for a foam one. Sinkage increased to allow my spine to rest properly and in general, I felt quite comfortable. The top softer layers ensure you won’t feel any pain in the shoulder and hips areas. Although it was a good feeling overall, I felt that the sinkage was not ideal for perfect spine alignment. This might vary depending on your weight. Finally, turning to the stomach position I felt that the mattress supported me where it was needed. My hips and chest were in the right position for good spine alignment. I also felt enough pressure relief and in general, the mattress performed very well in this position. One area that this mattress excels is the movement transfer. With all these foam layers they have managed to minimize it which means this is an excellent choice for couples. Eve Premium also has good edge support which is expected from such a solid construction. 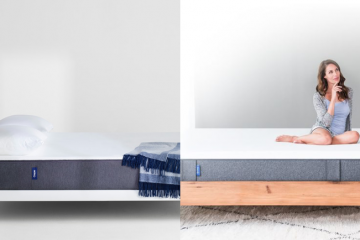 The Eve Premium mattress doesn’t need a special set up. You can place it on any flat surface including your floor. However, I would suggest you use a base or a divan. If you use slats, you should make sure the distance between them is not longer than 8cm. 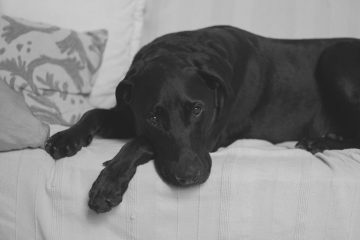 The mattress is not available in many sizes so you might not find the one that fits your old base. This will hopefully change in the near future. Eve wanted to make a premium mattress and this doesn’t stop with a good product. They decided to offer Free 2-man delivery service in order to enhance the customer experience. In my opinion, they achieved that! This is a very heavy box and not many people would be able to carry it around. I got my mattress 3 days after I had placed my order and communication was great. The couriers arrived on time and they placed the box in the room of my choice. The whole experience was smooth and straightforward. With more and more makers offering premium delivery, Eve had no option but follow too. I am really glad they did and overall I was really happy with them. The Eve Premium mattress comes with a 10-year guarantee which is what we expect these days from all these rolled mattresses. Of course, we should not take this for granted and this is still a great feature. 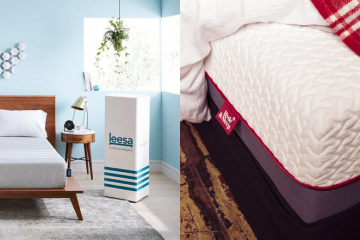 You will also get a 100-night trial period which allows you to test the mattress before you commit to keeping it. If you are not happy with your purchase, you can return it for free and get a full refund. You don’t need the original packaging to be able to return it so you can get rid of it when you unpack it. Overall, Eve does a good job here so no complaints at all. The mattress is available in 4 sizes. Unfortunately, there are no EU ones and hopefully, Eve will add more sizes in the near future. The smaller (Single) goes for £599 with the bigger (King) selling for £1,149. The table below has detailed information about the pricing of this mattress. 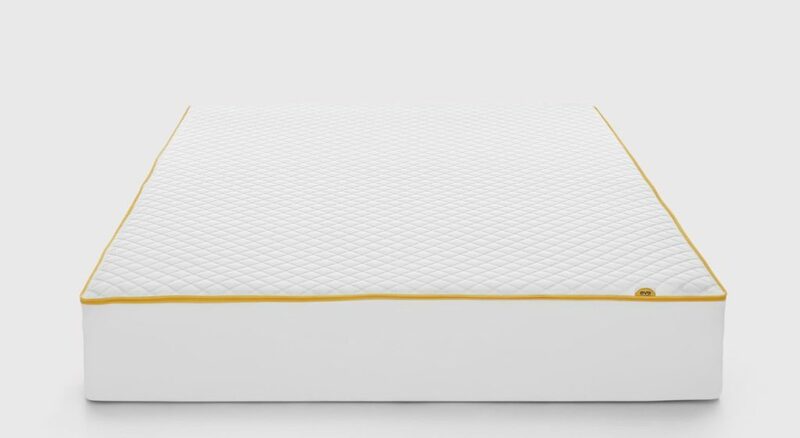 IS THE EVE PREMIUM MATTRESS FOR ME? 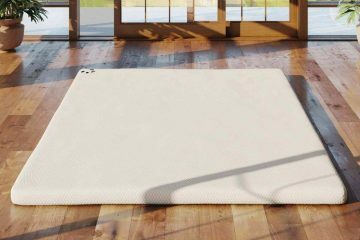 A thick luxury style memory foam mattress that is very comfortable. 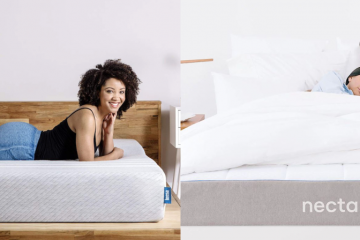 A mattress with minimal movement transfer that is great for couples. 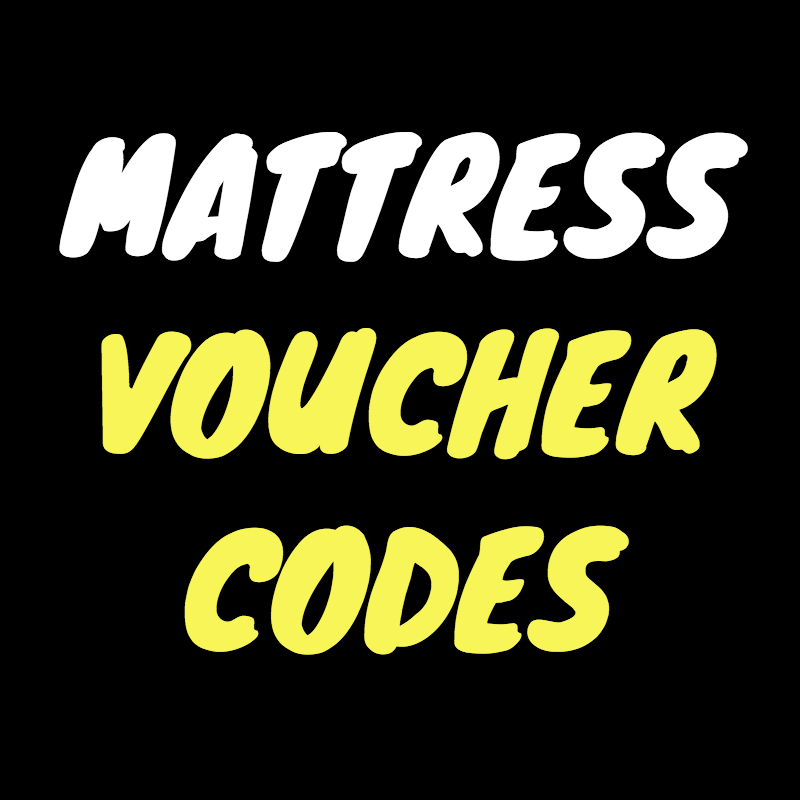 A rolled mattress that comes with excellent service and support. 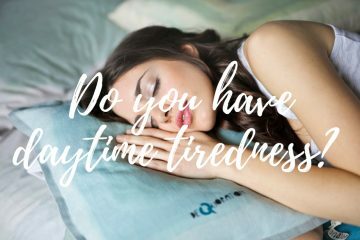 If you are willing to spend more on your next mattress and what you look mostly is comfort then the Eve Premium mattress can be a great choice for you. If you look for more value for money, go for the Original Eve. For any questions, you might have, feel free to contact me.